As I mentioned the other day, River has turned 3. I have no idea how that happened (and yes, I say that every time one of my children has a birthday ... but it's nothing compared to what I say to myself when I do the math and figure out my own age). The children have returned from Thanksgiving with their father, each of them taller than when they left, I believe, but home nonetheless. Thus it is finally time to celebrate the Birthday Boy. My handsome 3 year old loves airplanes. We live next to an airport so we see them fly over the house daily. Every couple of weeks we'll drive through the airport, stop, and watch the planes take off and land. Of course, being three he thinks all the airplanes are his. When it came time to make him a birthday present a backpack seemed just right. He has discovered the bags I've made his brothers and has been coveting them lately, both for their appearance and their practicality (what better way to distribute small toys throughout the house for Mama to step on later?). He needed his own bag. The big boys have backpacks for scouts, so a backpack for River was only fair. 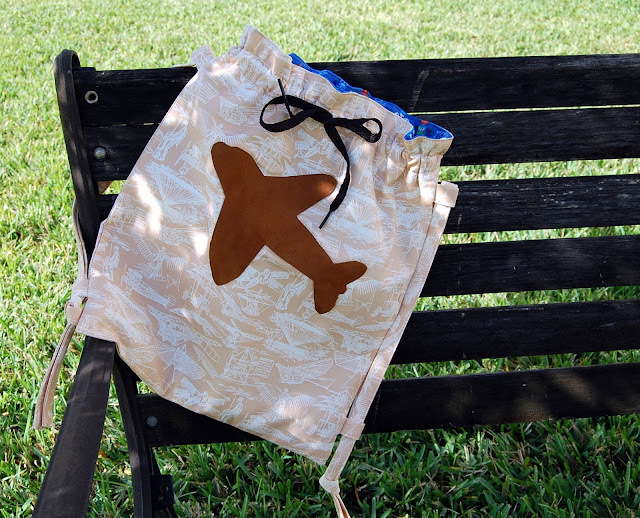 The background fabric features all sorts of vintage flying machines. 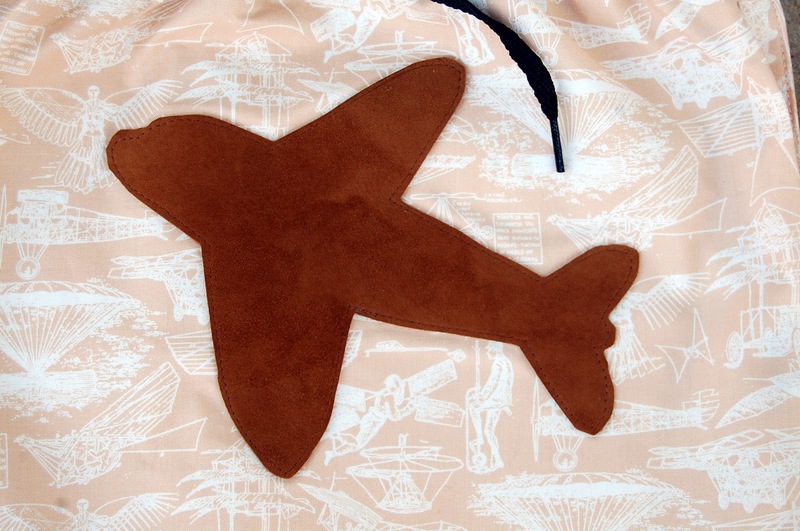 The airplane is suede, cut from an old coat I bought at Goodwill many years ago (a $3 long suede coat, woo hoo). The suede was wonderful to work with, cut and sewed like butter with no worry about fraying. I can't wait to use it again. The backpack is reversible, with strap tabs on both sides and a buttonhole to pull the tie through on both sides. The straps are adjustable, they can be lengthened or shortened and even criss-crossed if necessary. I've used the same pattern for 3 year olds, 5 year olds, and 10 year olds, (and everything in between) and it has worked perfectly for all. 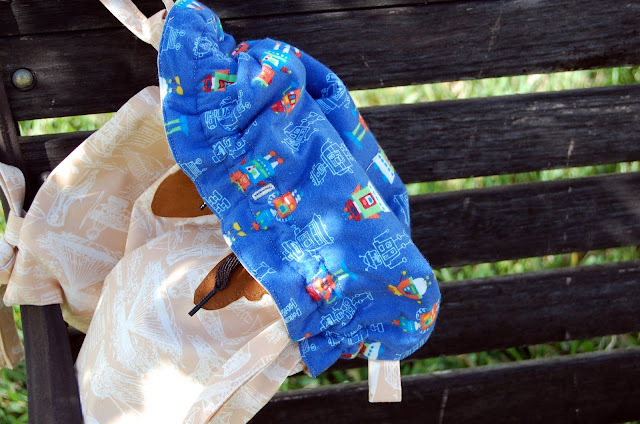 The reverse fabric is a flannel robot. It's nice and colorful, so I think River will get a kick out of it. I'm hoping I can get a picture of him with the backpack soon (he hasn't received it yet, but will very, very soon). I have a few other backpacks available in the shop.